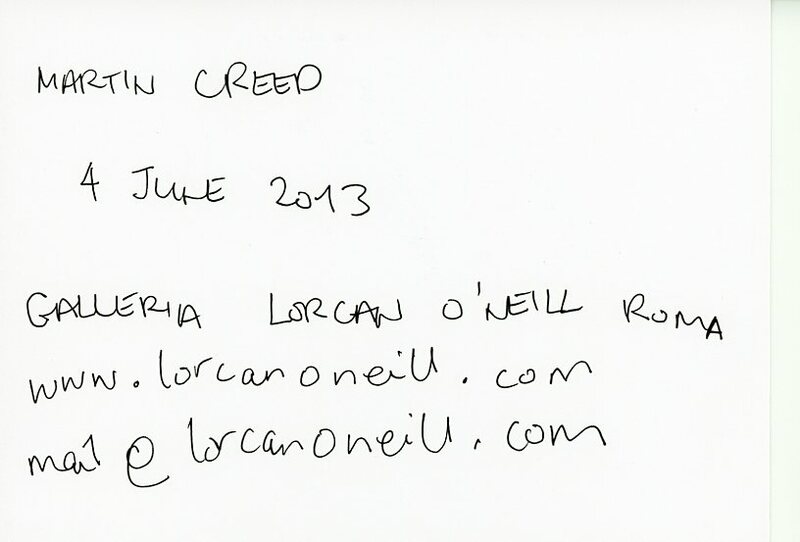 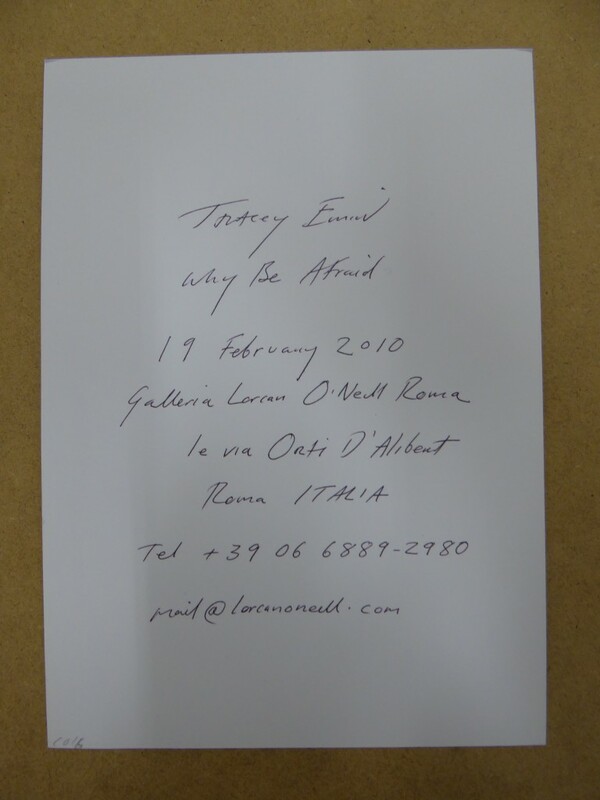 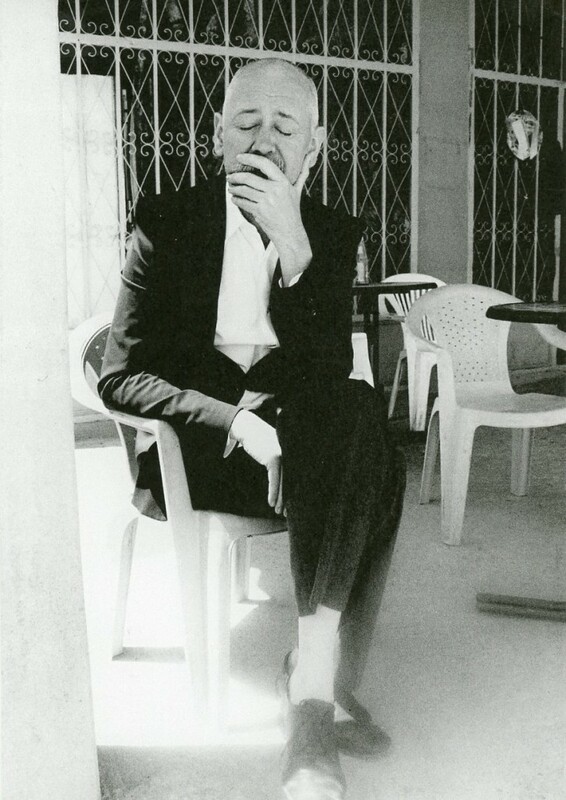 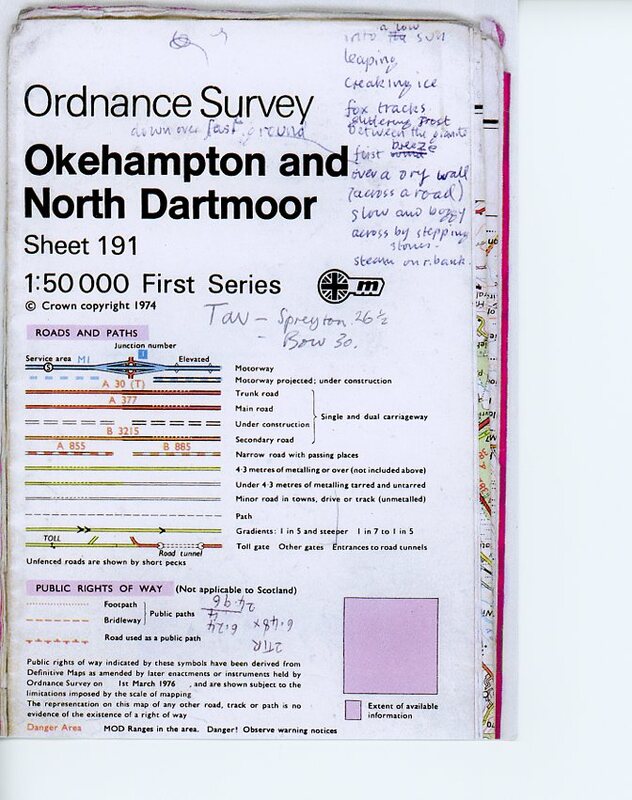 Galleria Lorcan O’Neill – Publisher – They Printed It! 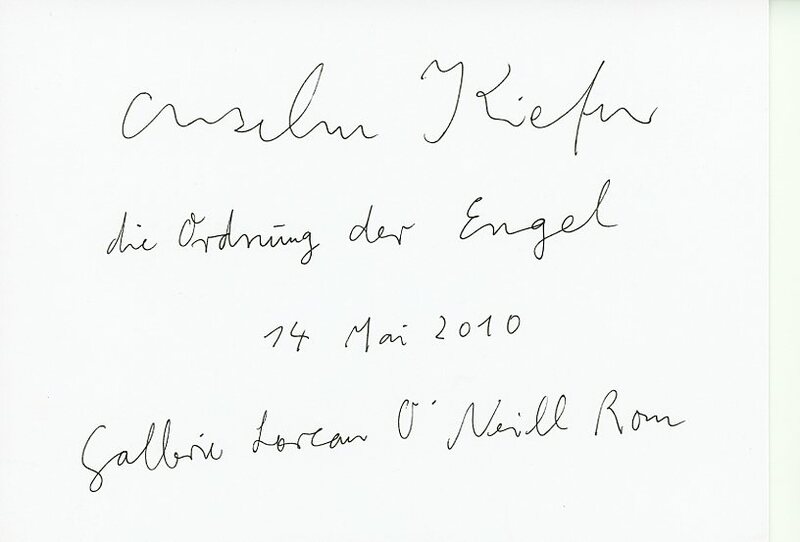 Schon die Rückseite würden wir als riesiges Poster in unser Wohnzimmer hängen. 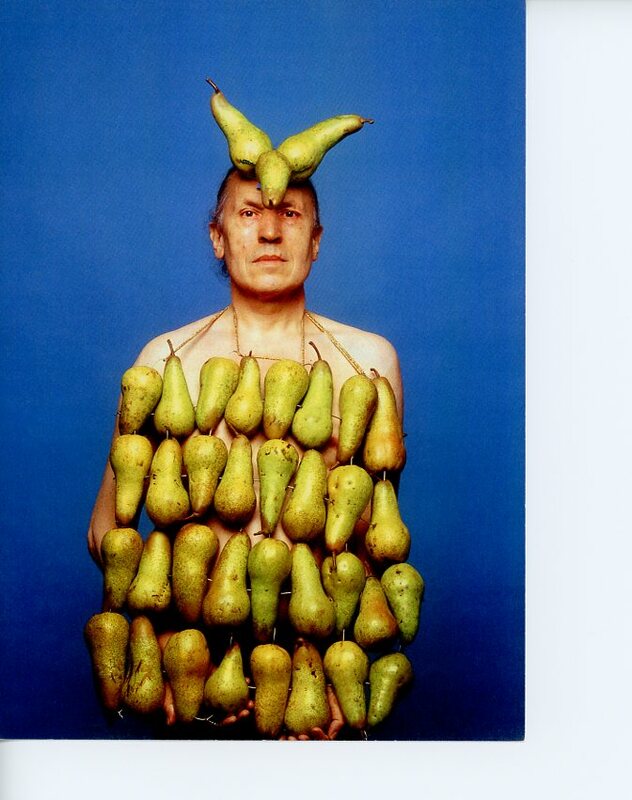 Und dann die Vorderseite mit dem stillen ruhenden Mann im Plastiksessel, barfuss in Lederschuhen und weisser Bluse hat uns rstlos überzeugt. 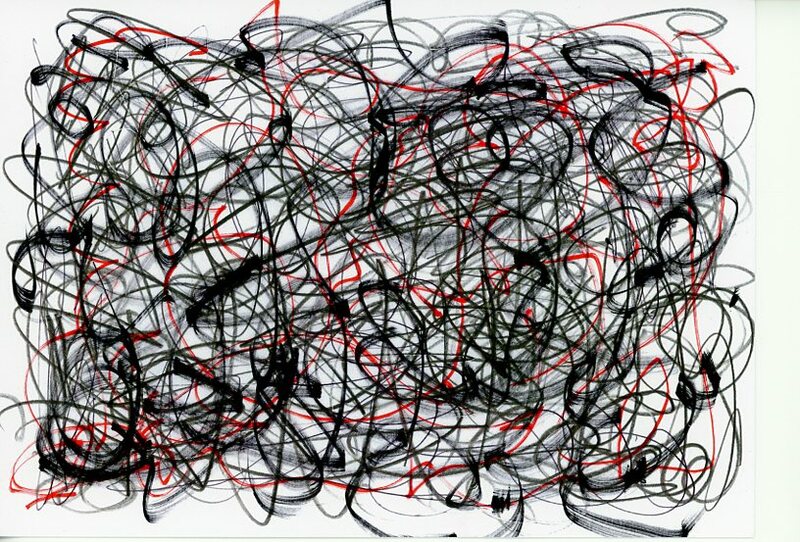 Das ist eine Spitzeneinladung. 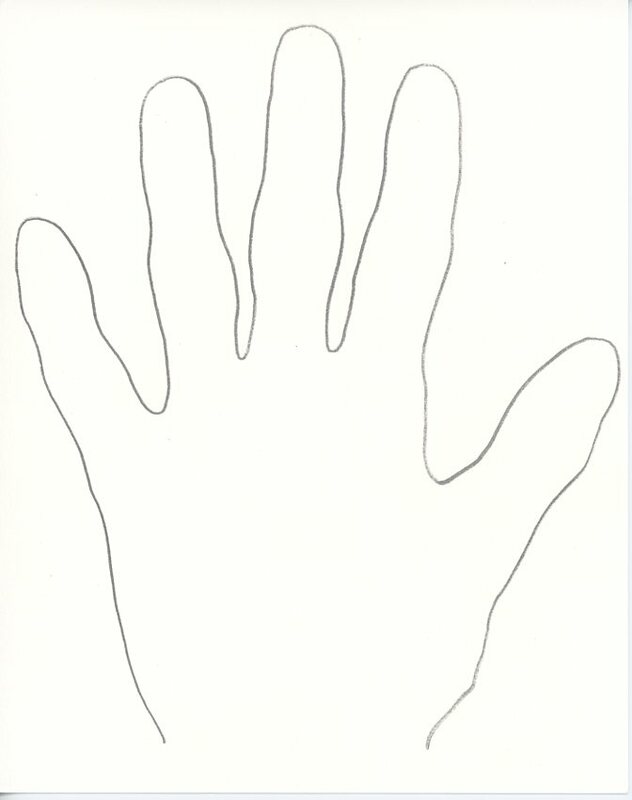 It took me years to understand the magic of drawing. 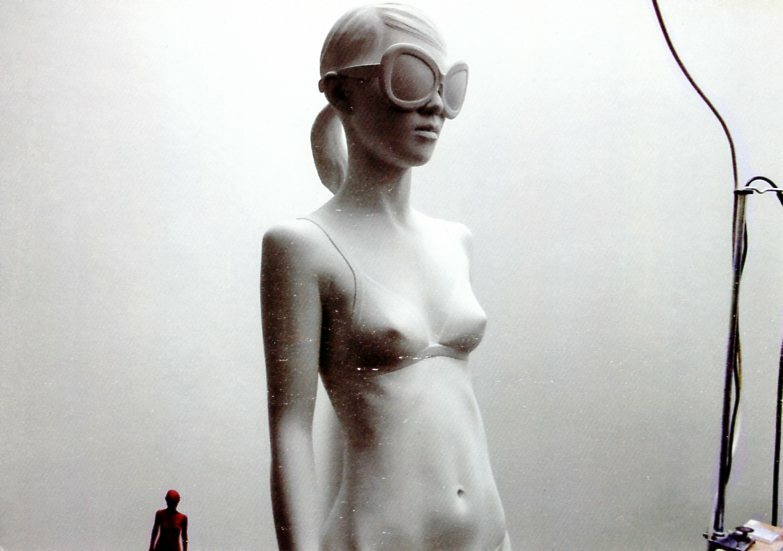 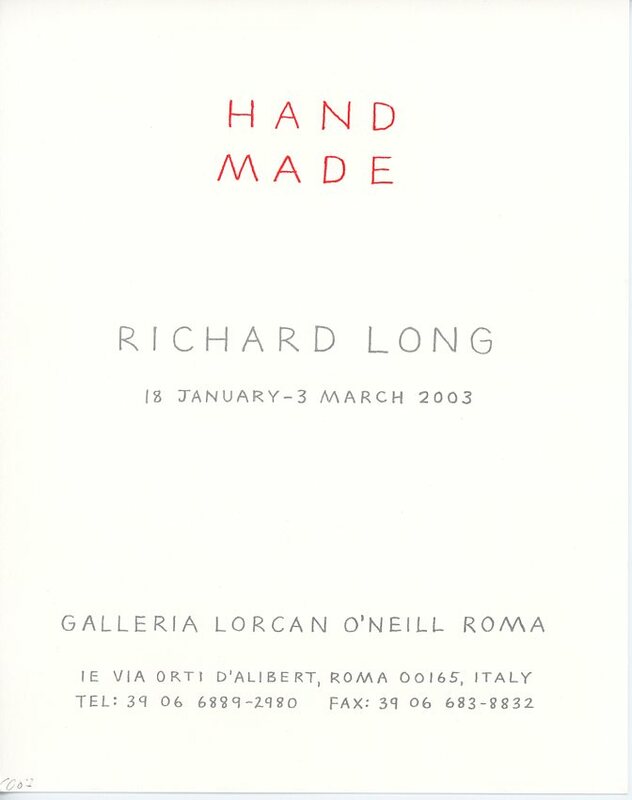 For years, I tried to make things look how they are – instead of being what they are. 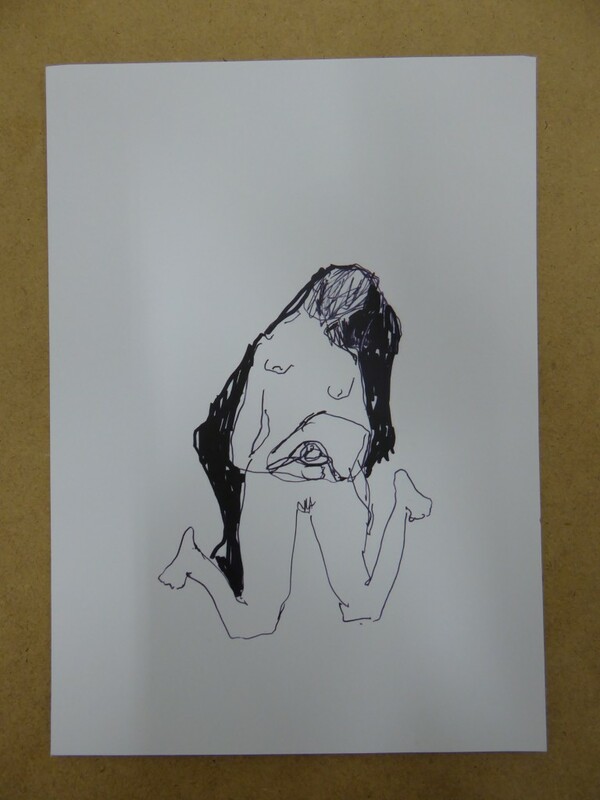 Drawing is an alchemic language. 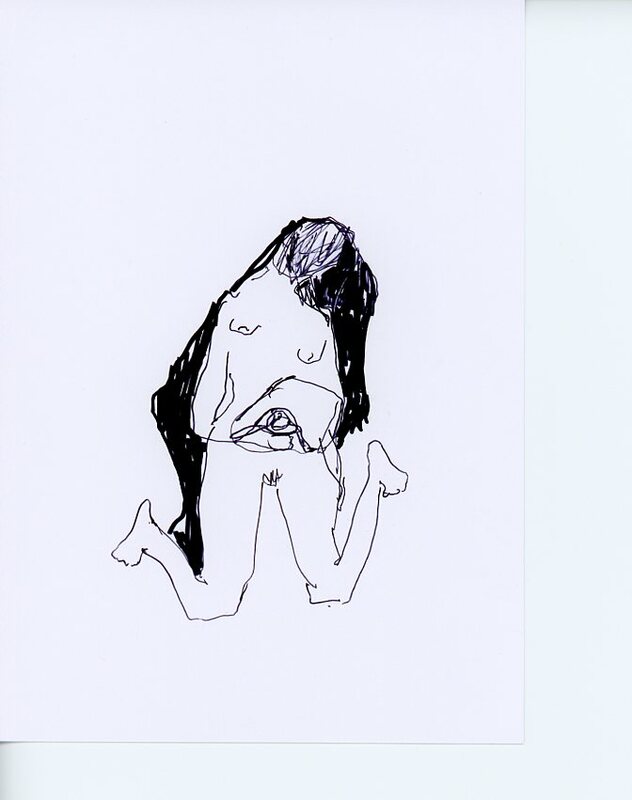 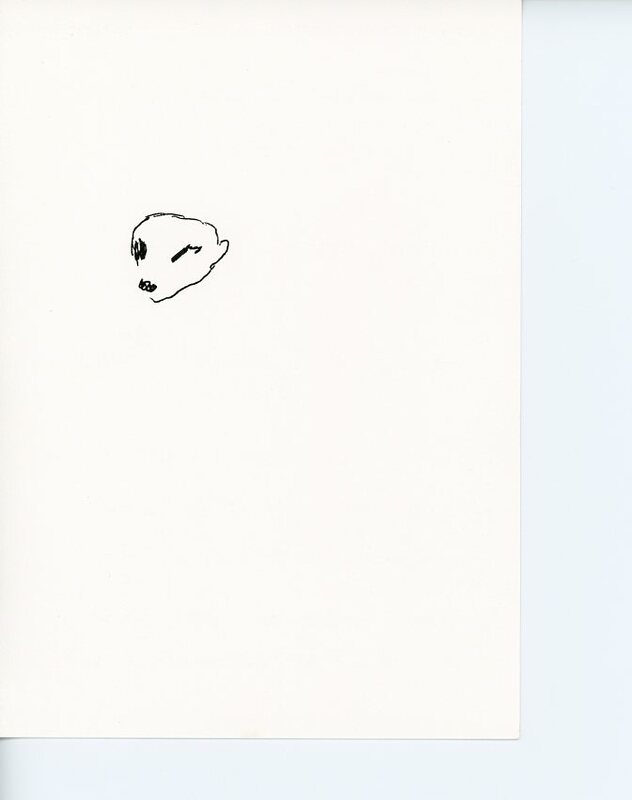 Some of my favourite drawings I have done with my eyes closed – or so drunk I do not remember making them. 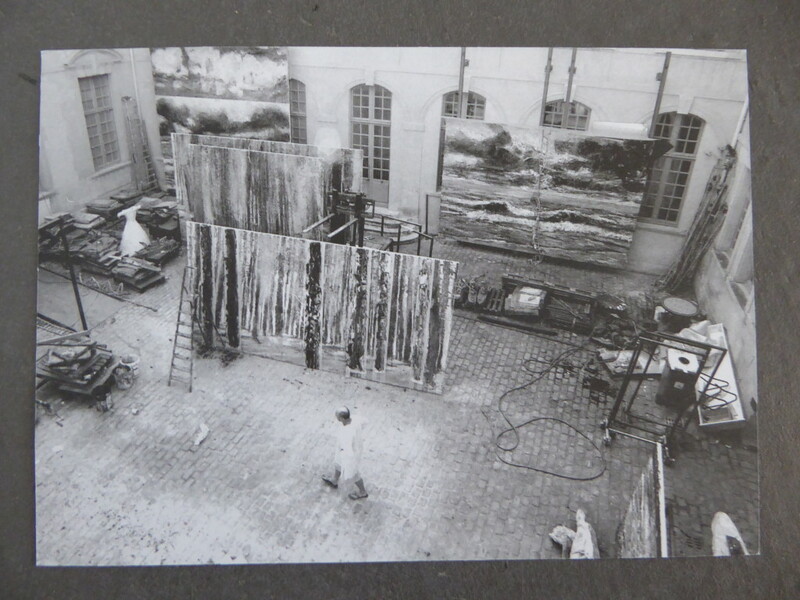 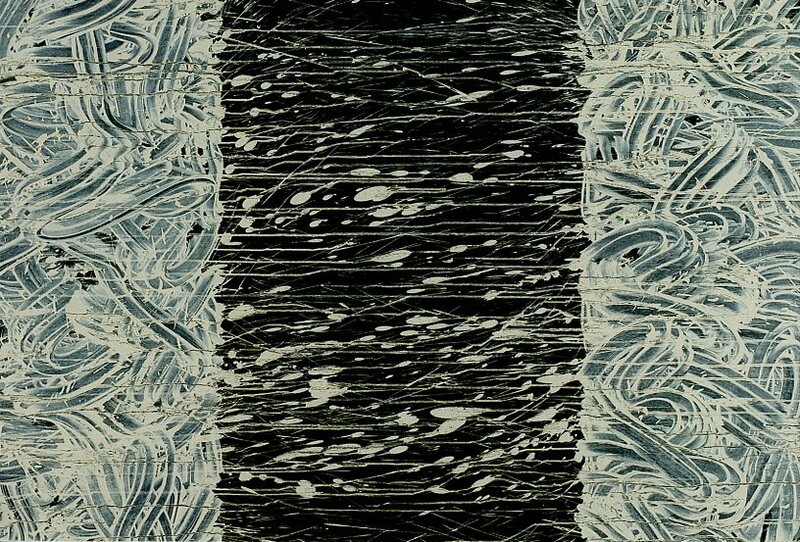 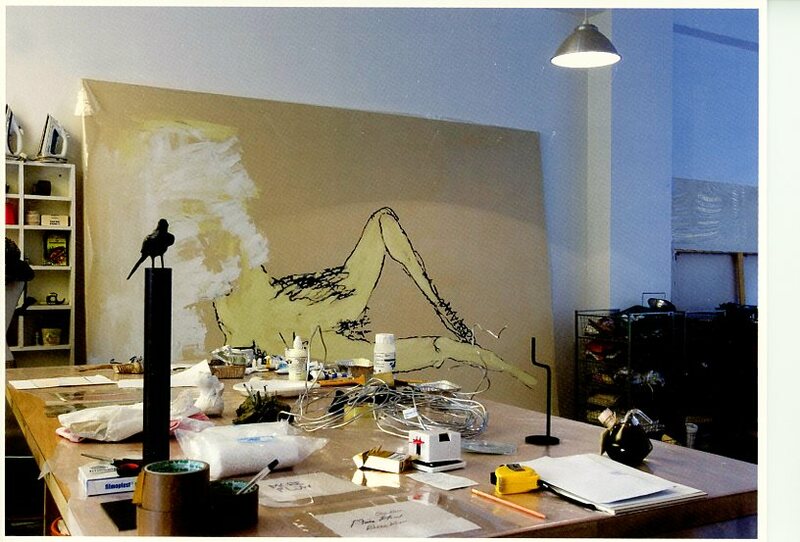 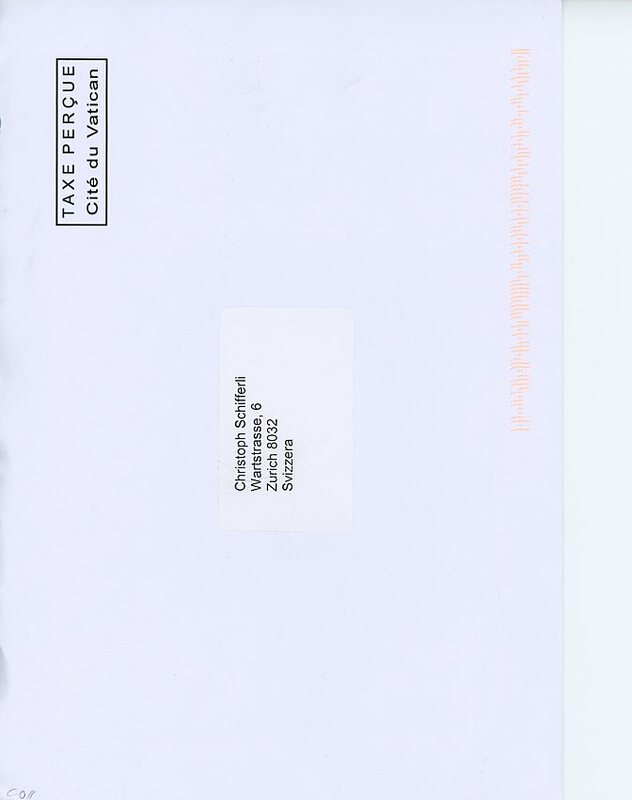 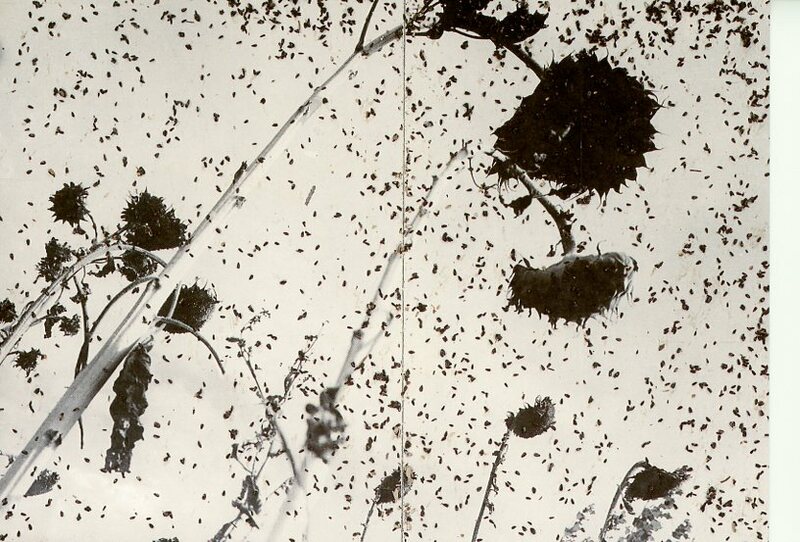 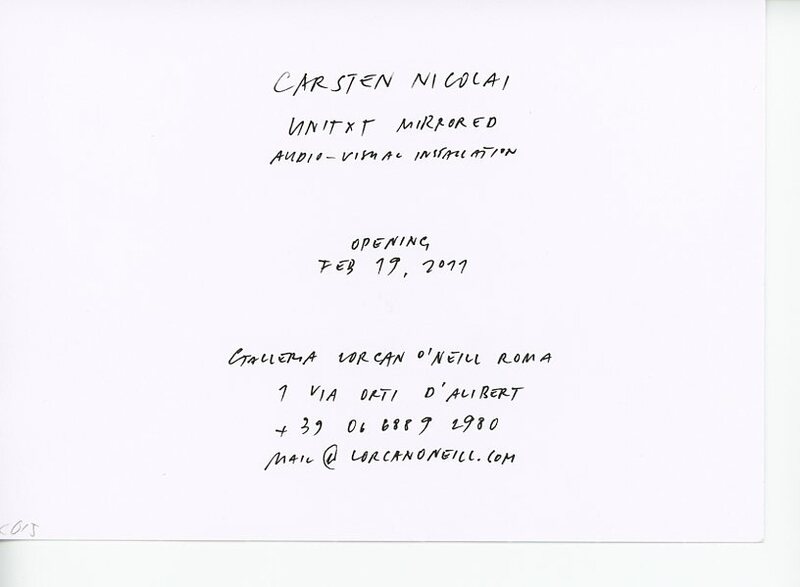 Amongst all the invitation cards within this archive this is one of the rare ones that show the artist’s atelier. 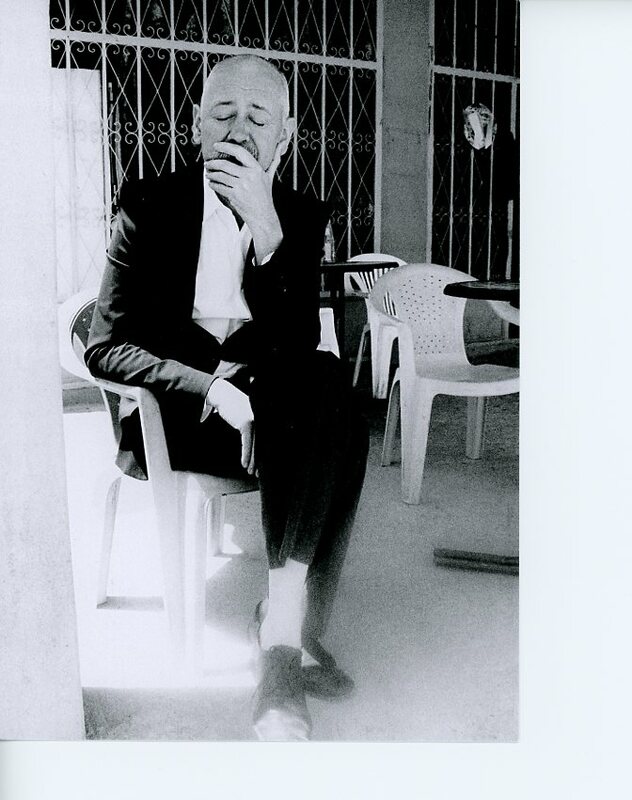 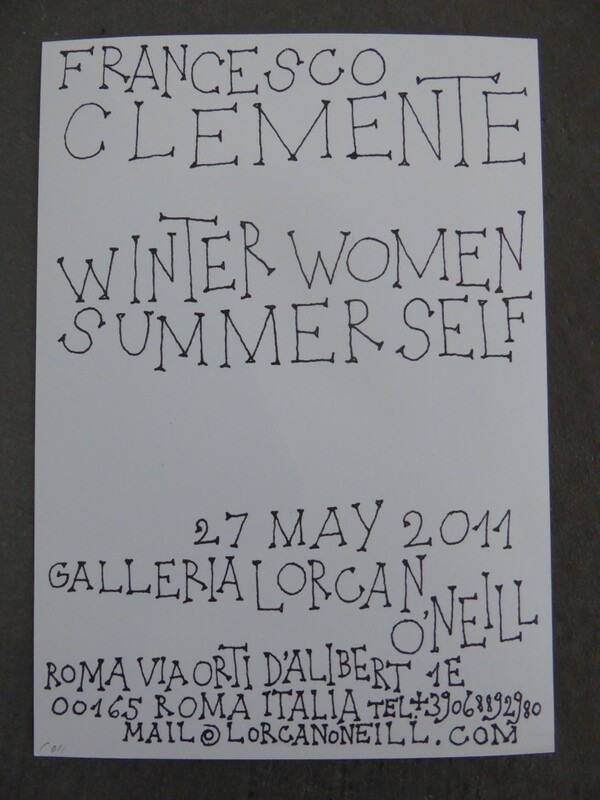 Clemente has such a distinctive style. 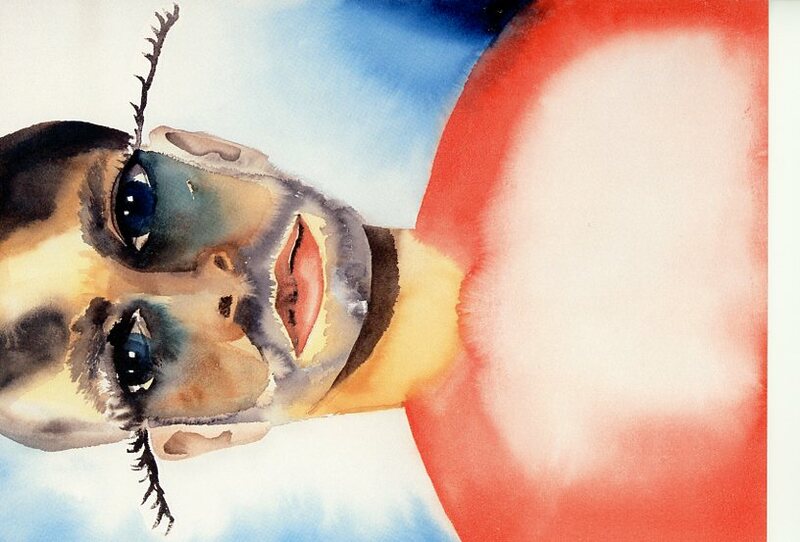 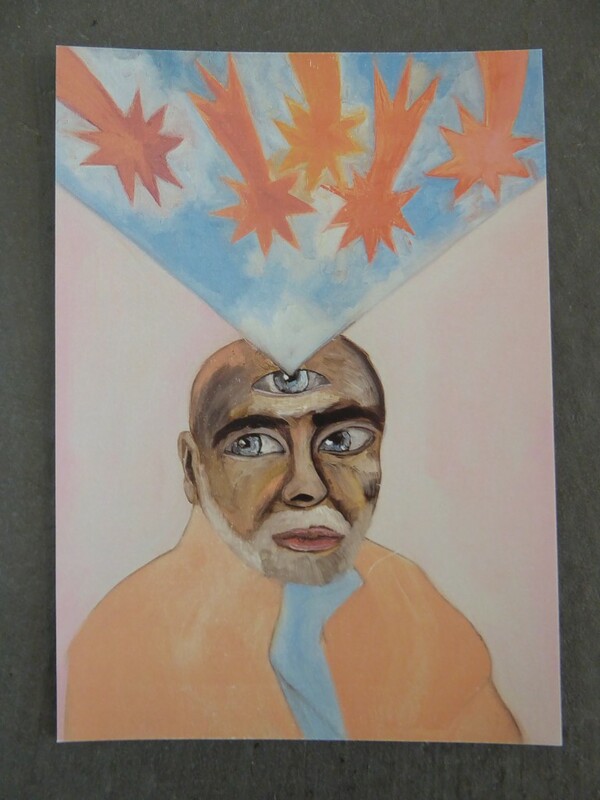 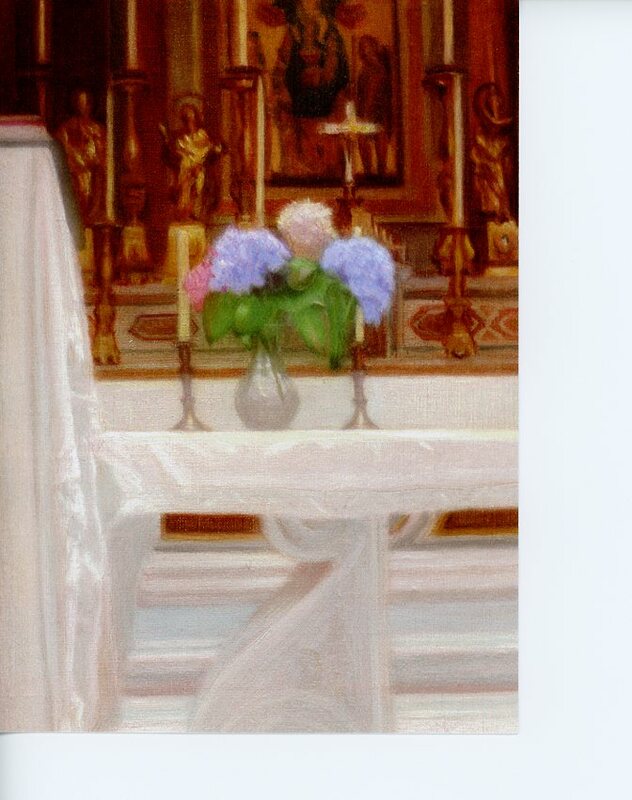 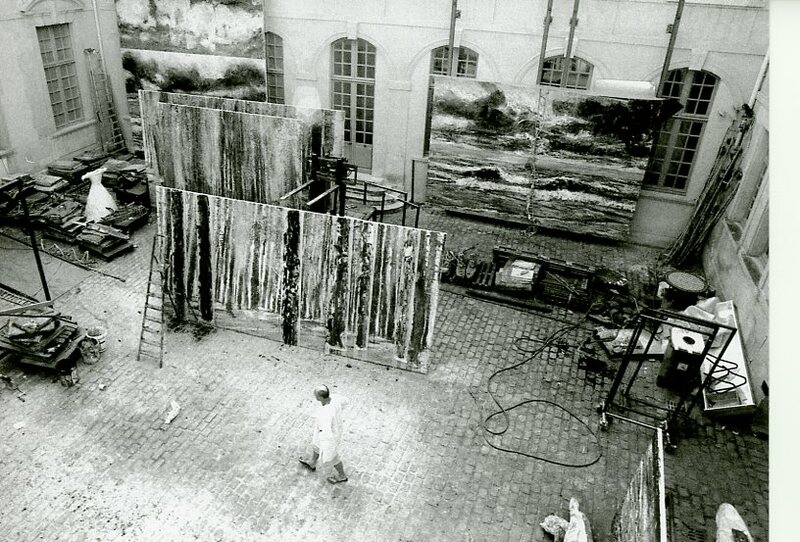 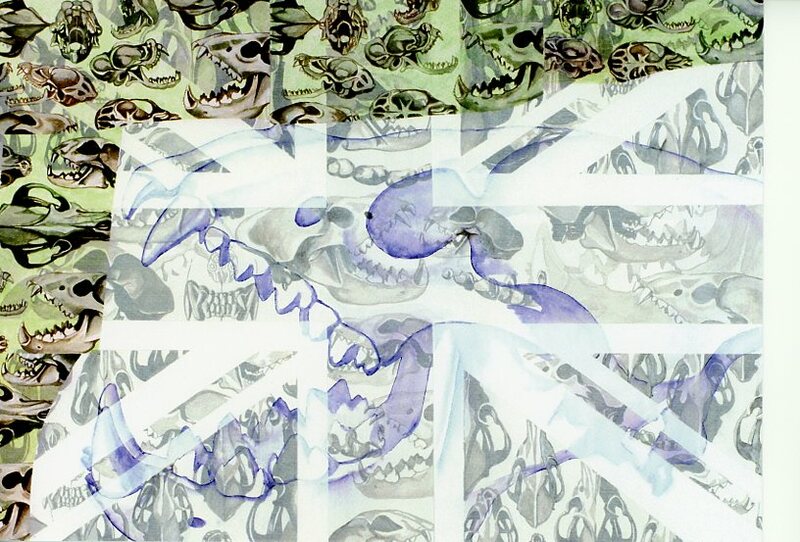 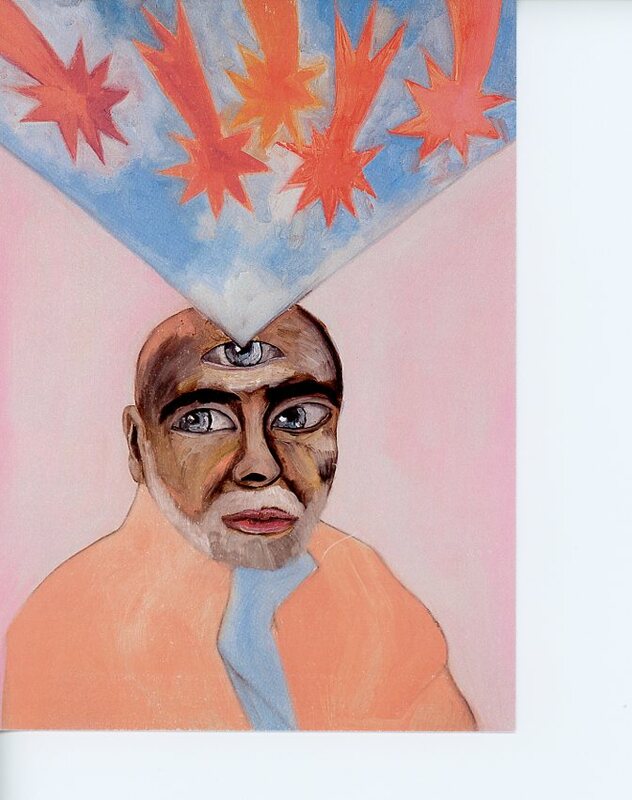 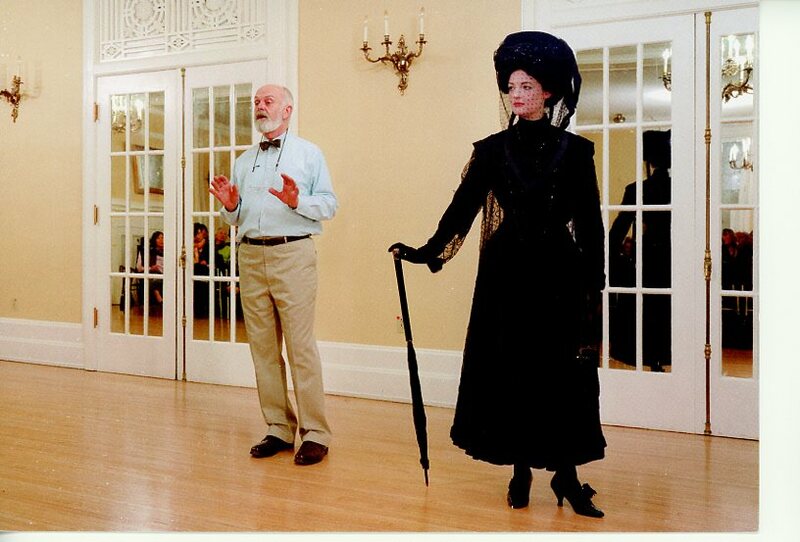 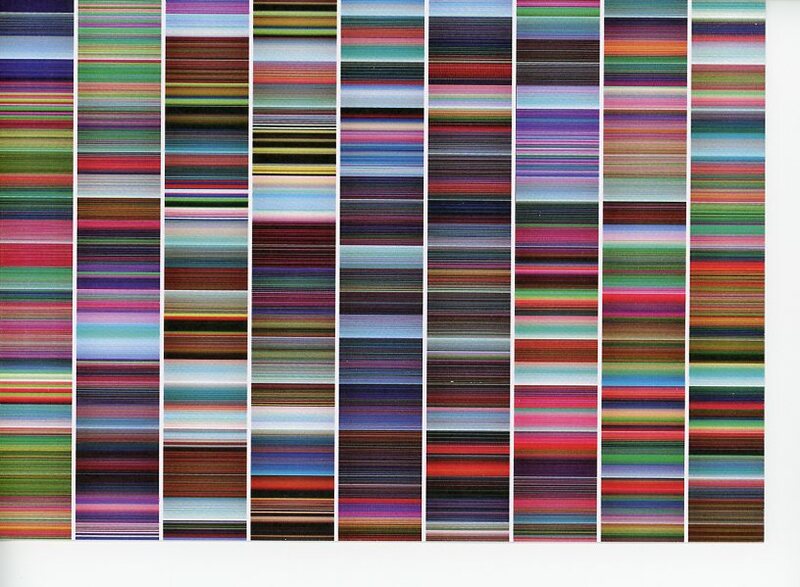 I have always found his paintings very compelling. 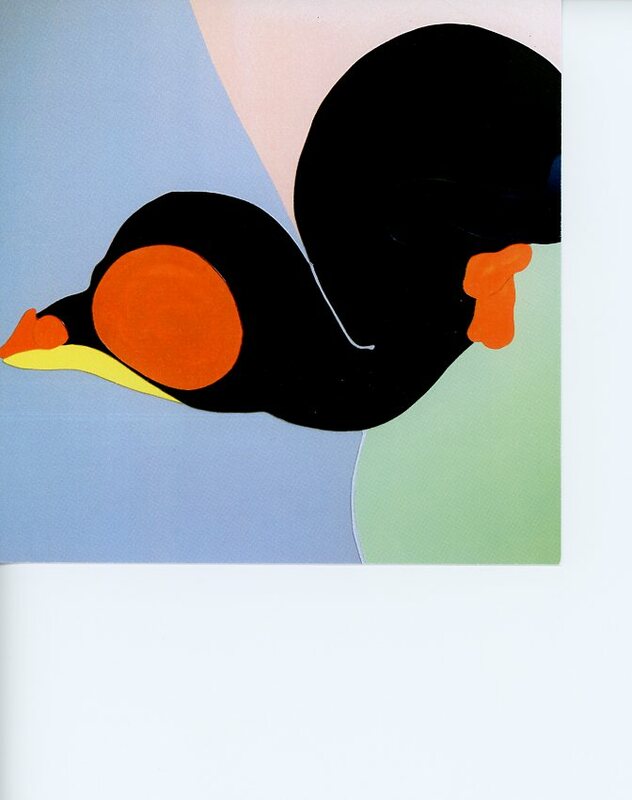 The soft oranges in this work are especially beautiful. 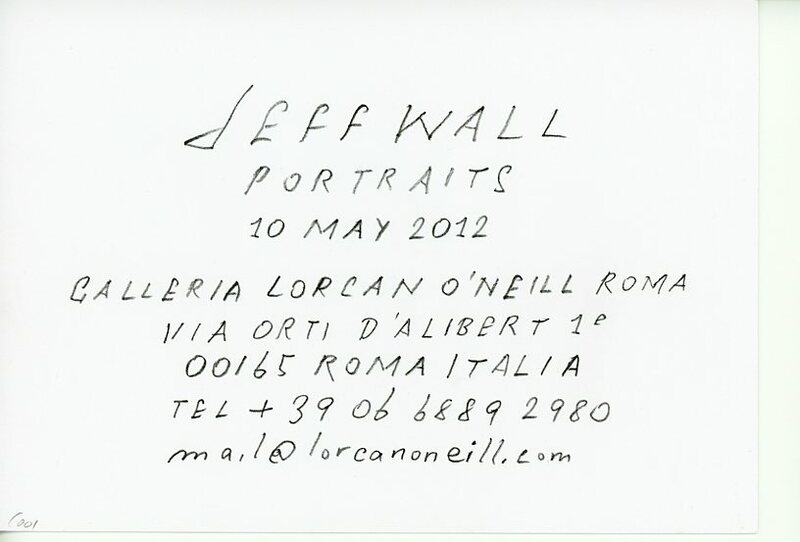 I also find the font on the back of the card very beautiful. 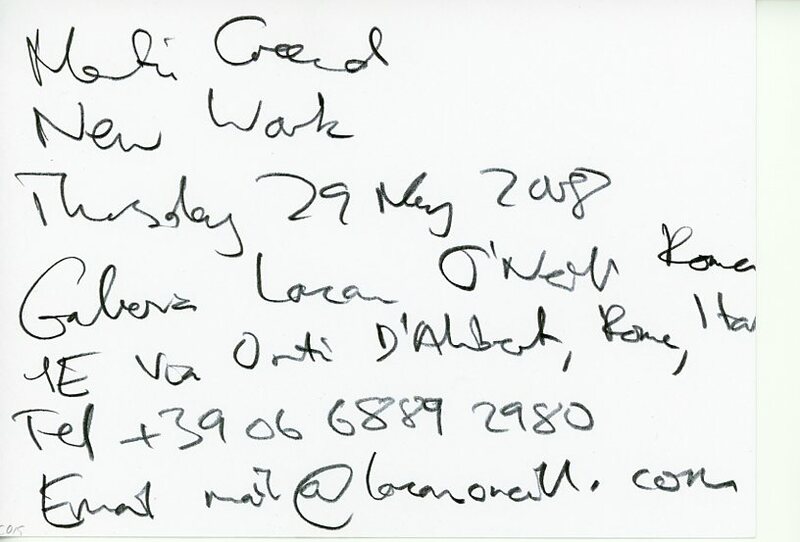 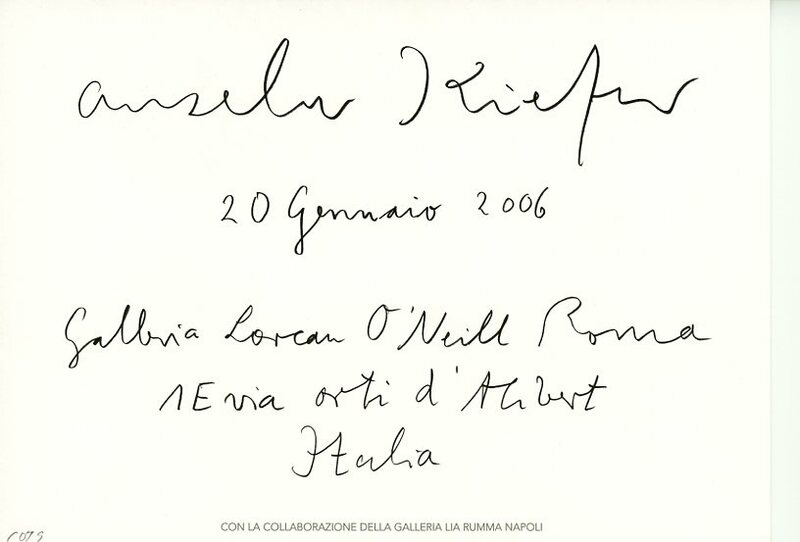 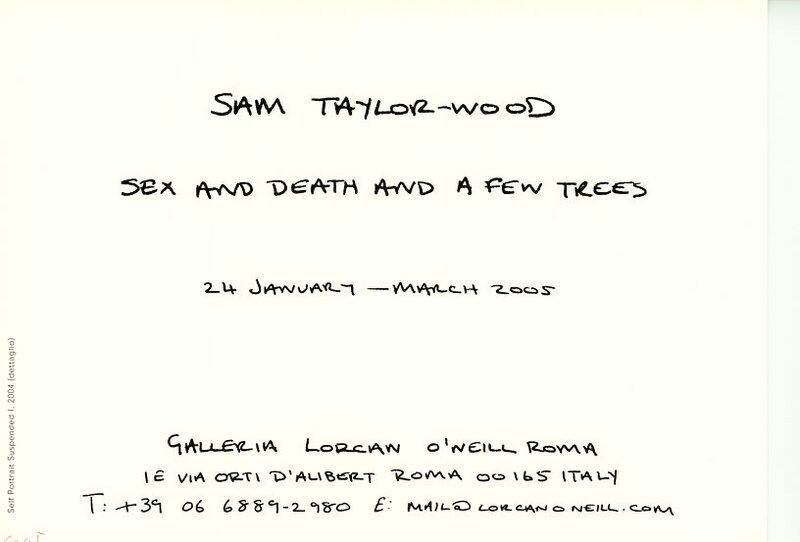 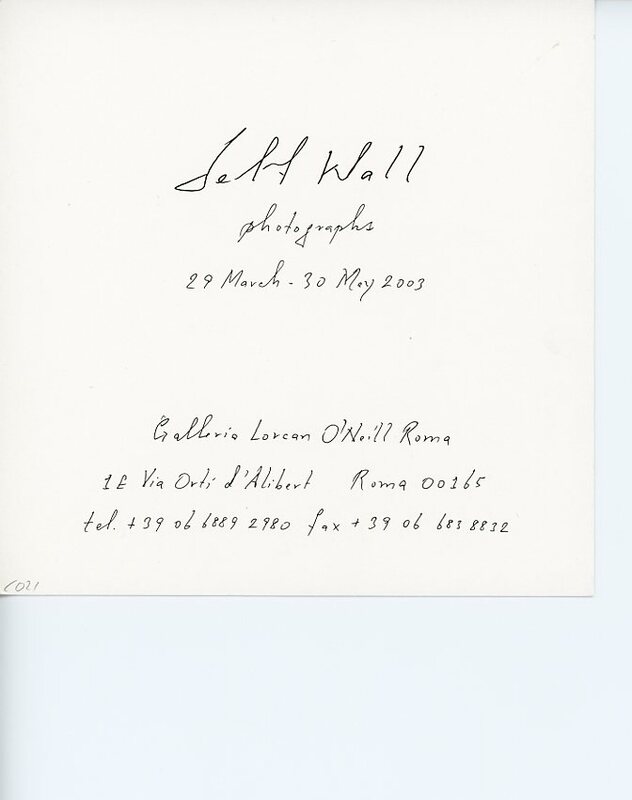 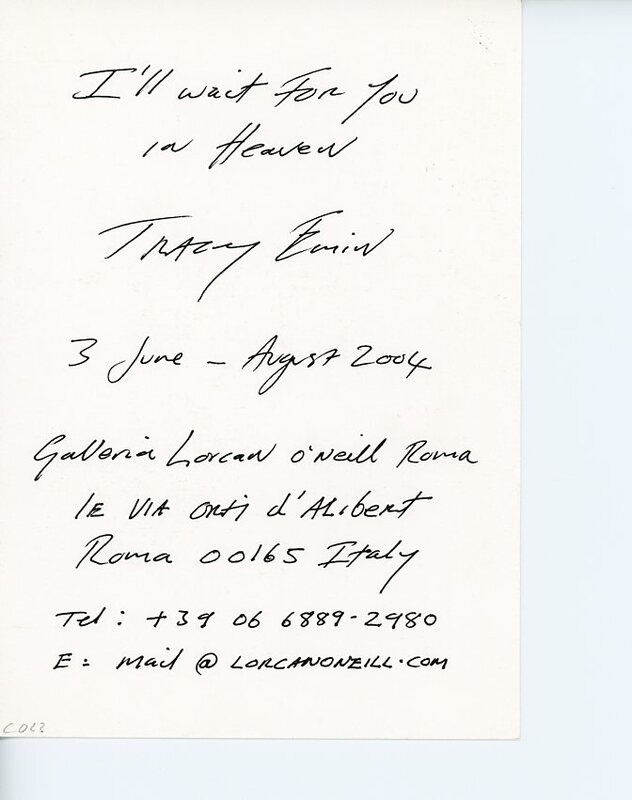 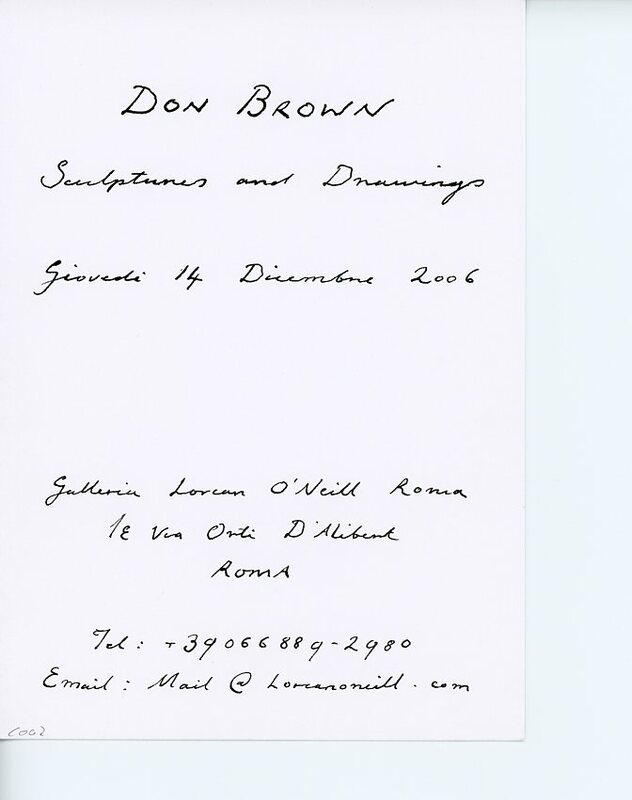 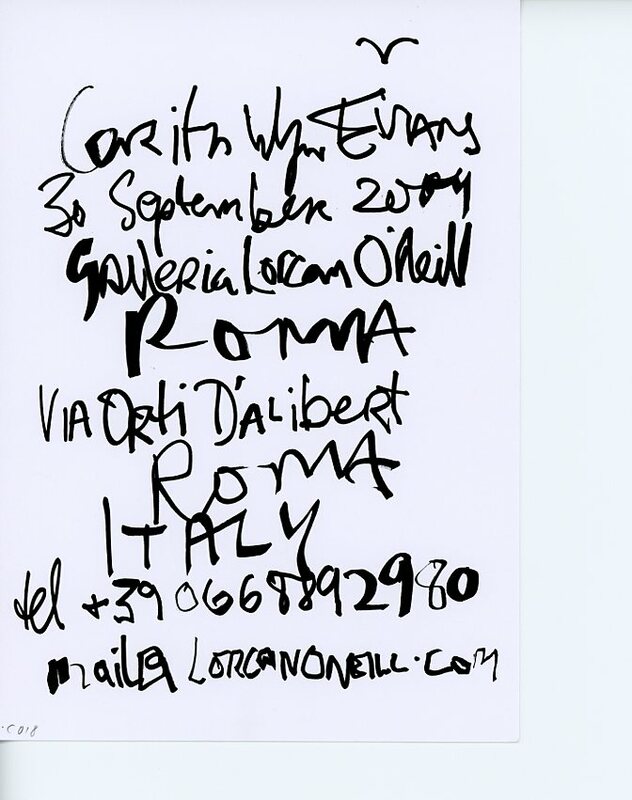 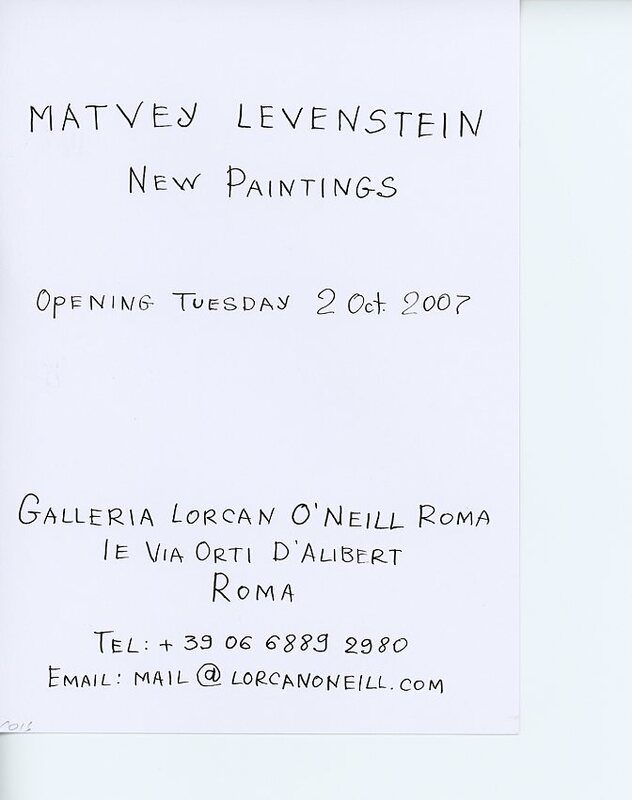 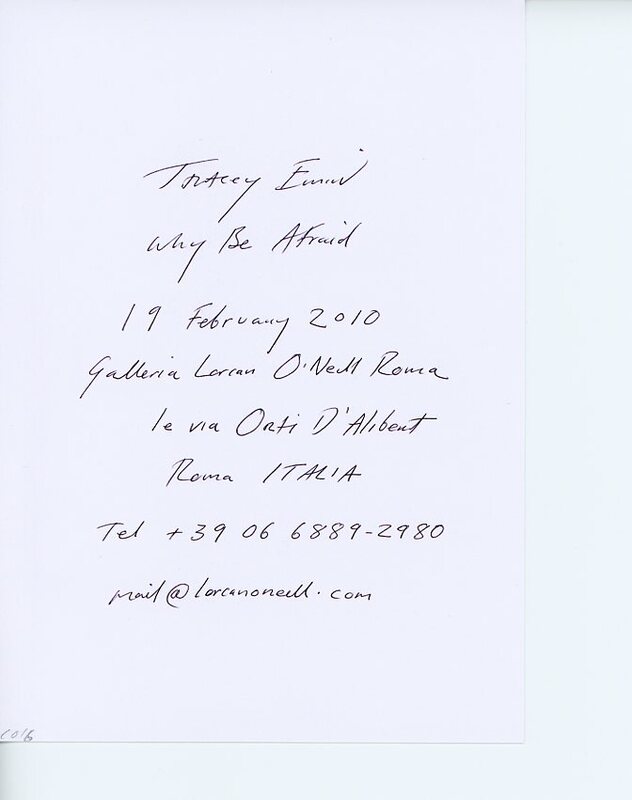 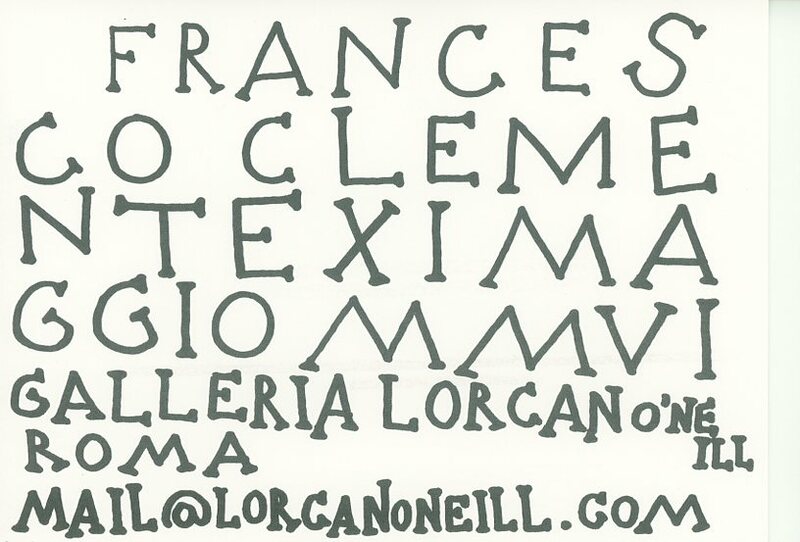 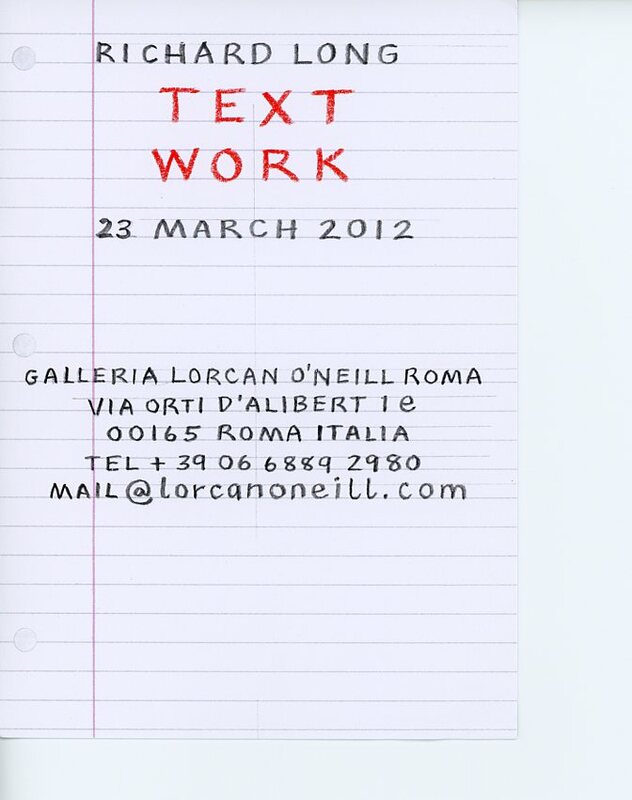 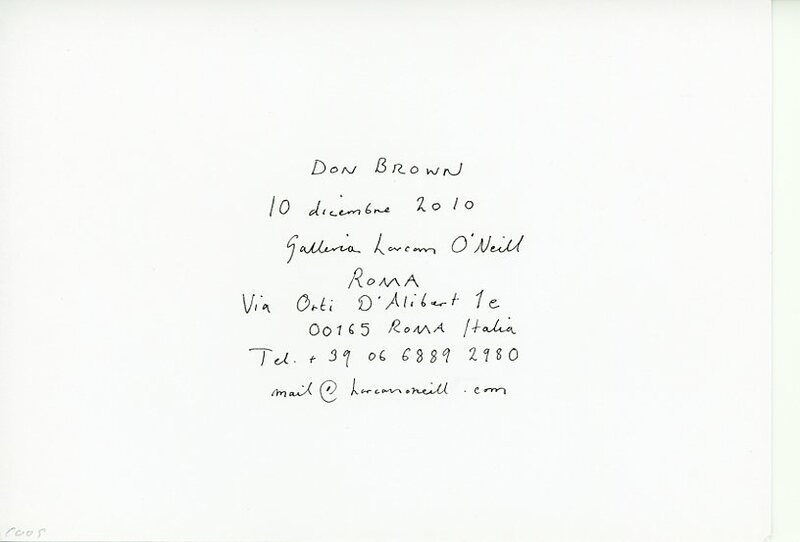 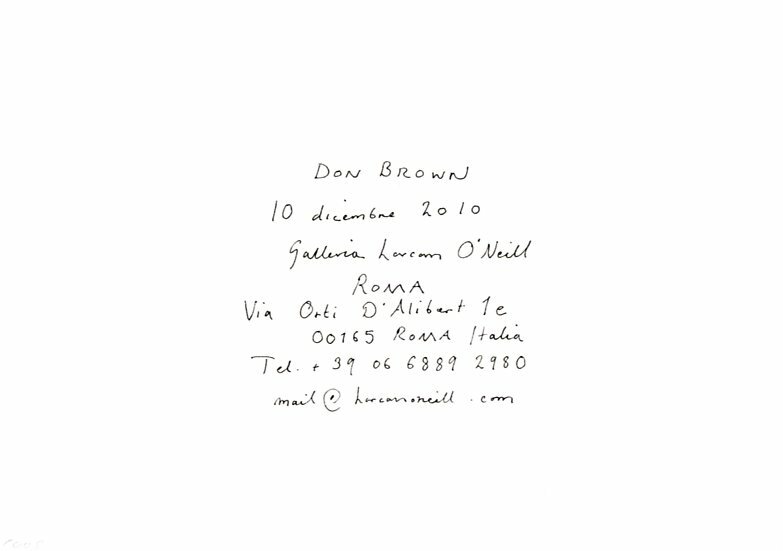 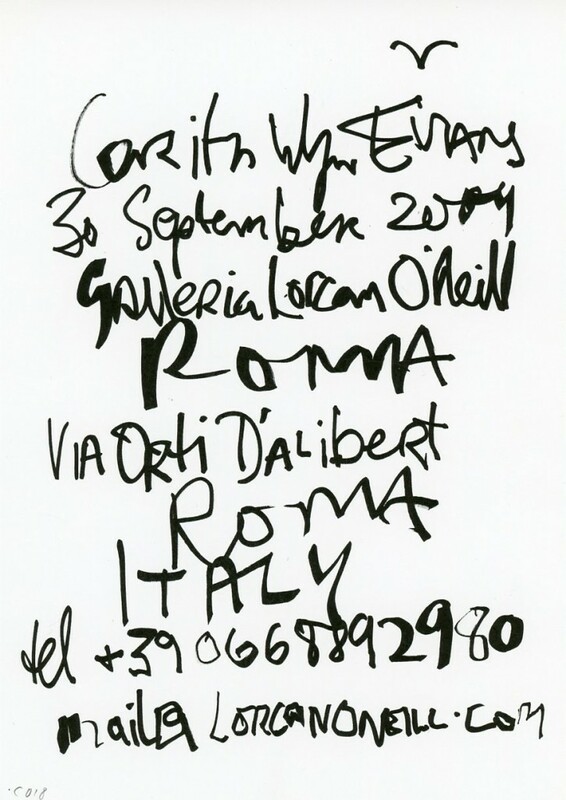 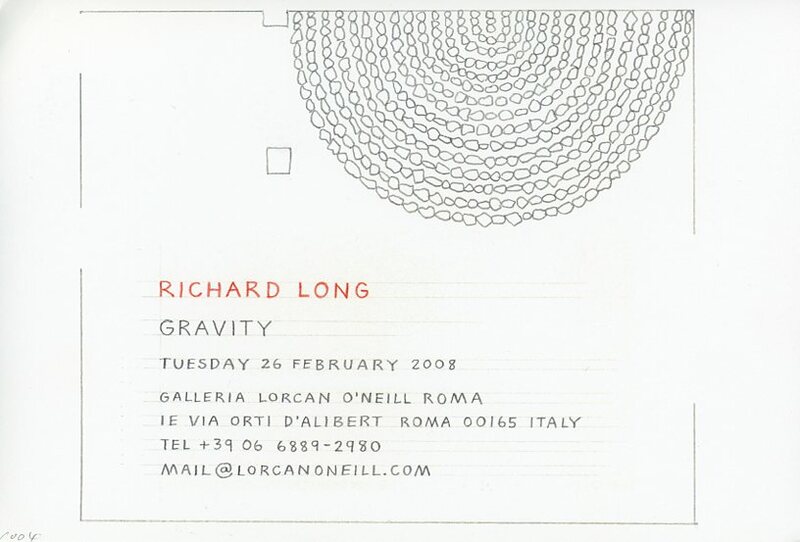 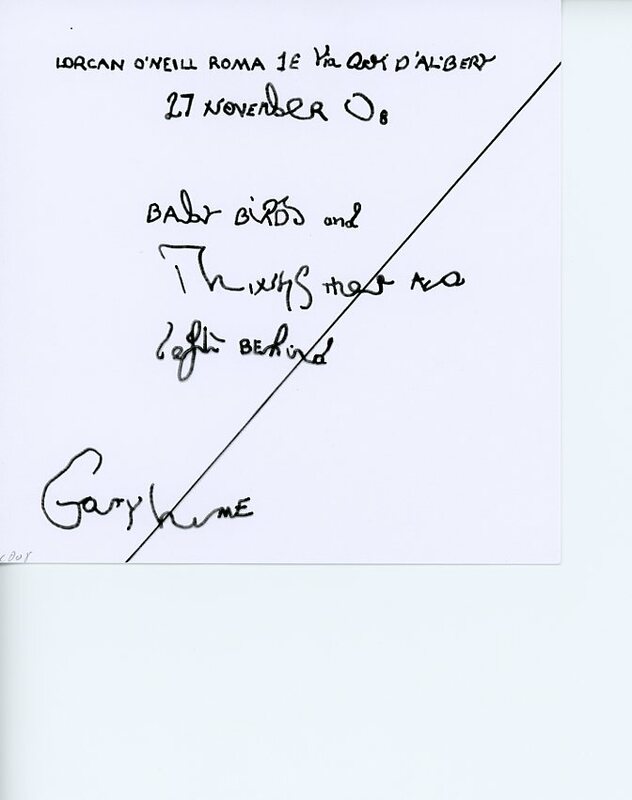 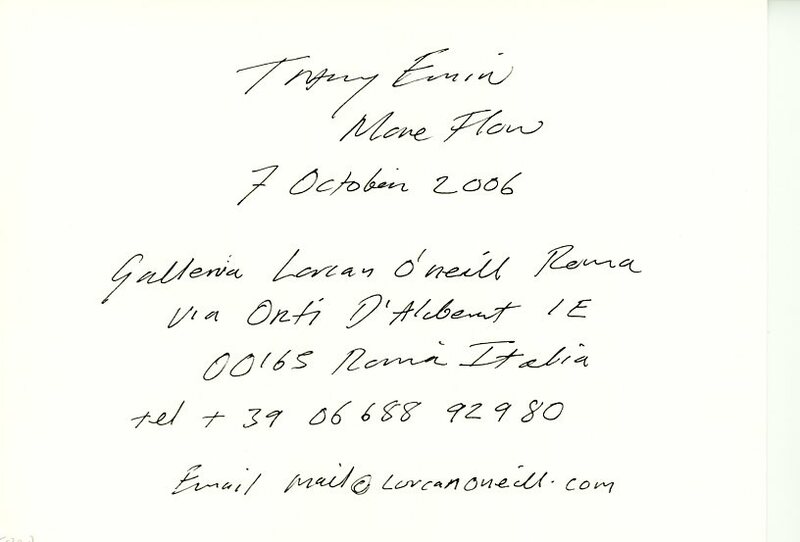 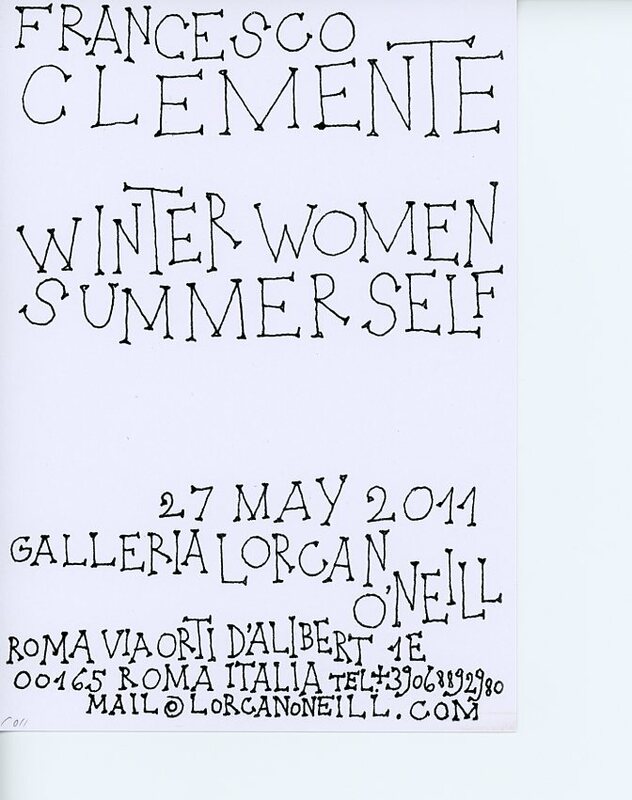 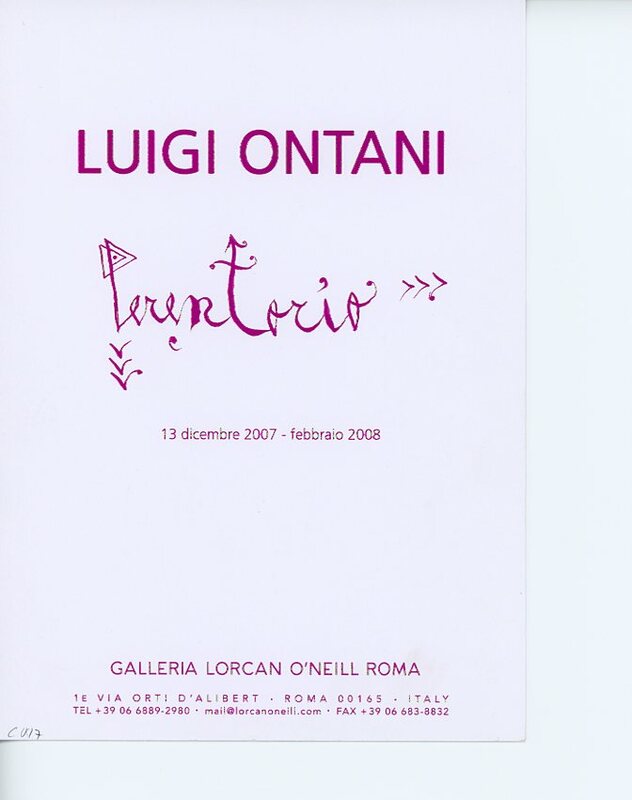 I have a feeling it is Clemente’s own handwriting – i can’t be sure but from looking at a lot of the other invitation cards for Galleria Lorcan O’Neill in Rome, where this show was held, it appears that each artist handwrites the text. 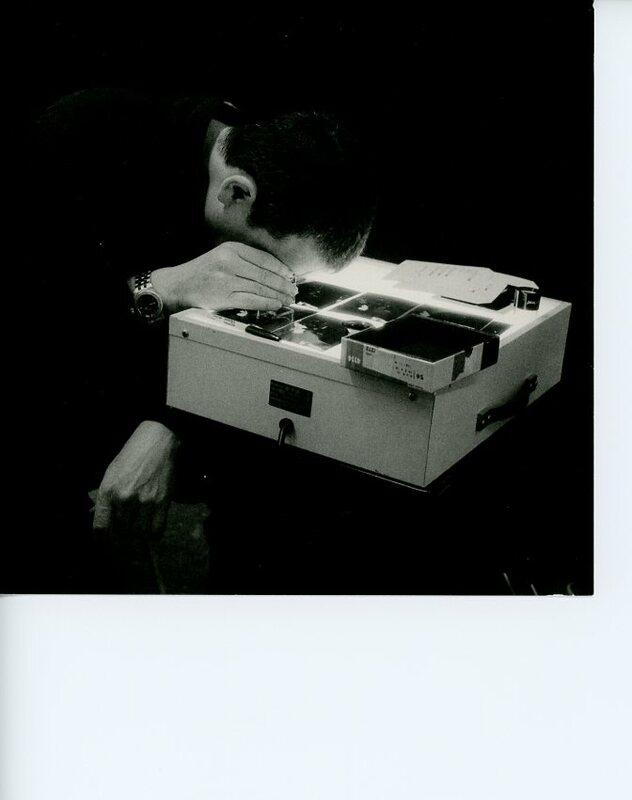 Es erscheint mir ironisch, dass die Information wie Datum, Ausstellungstitel und Ort zur Ausstellung eines Künstlers, der sich so intensiv mit elektronischen Medien beschäftigt, handgeschrieben zu sein scheint. 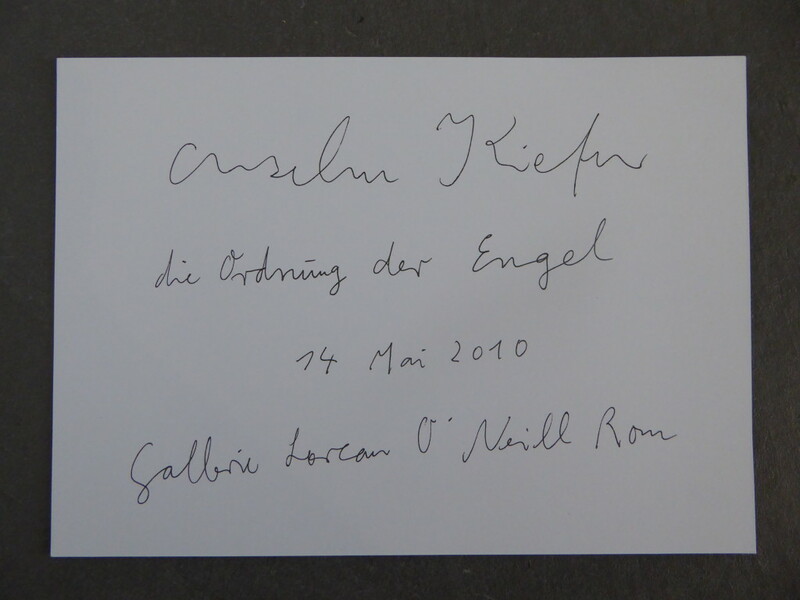 Andererseits nutzt Nicolai analoge Medien und Aufzeichnungsgeräte in seiner Arbeit. 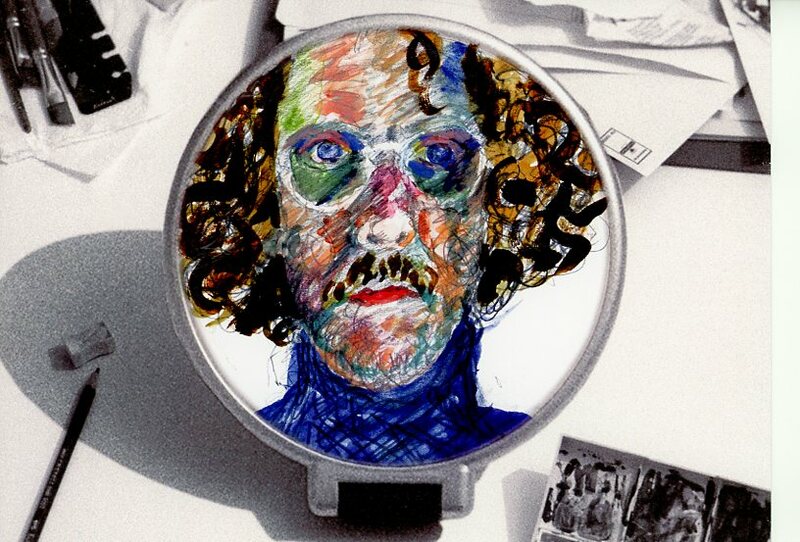 Vor Allem aber gefällt gefällt mir seine Arbeit, sowohl künstlerisch als auch musikalisch.